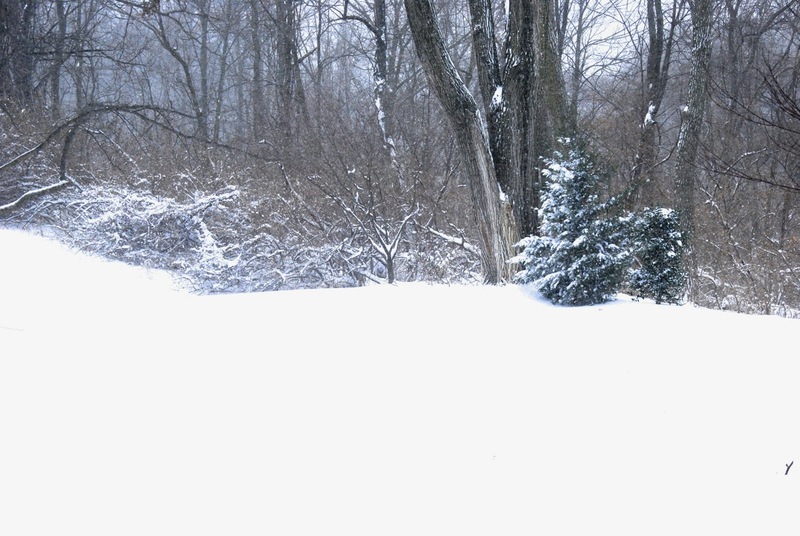 These photos are NOT from this insane "polar vortex." 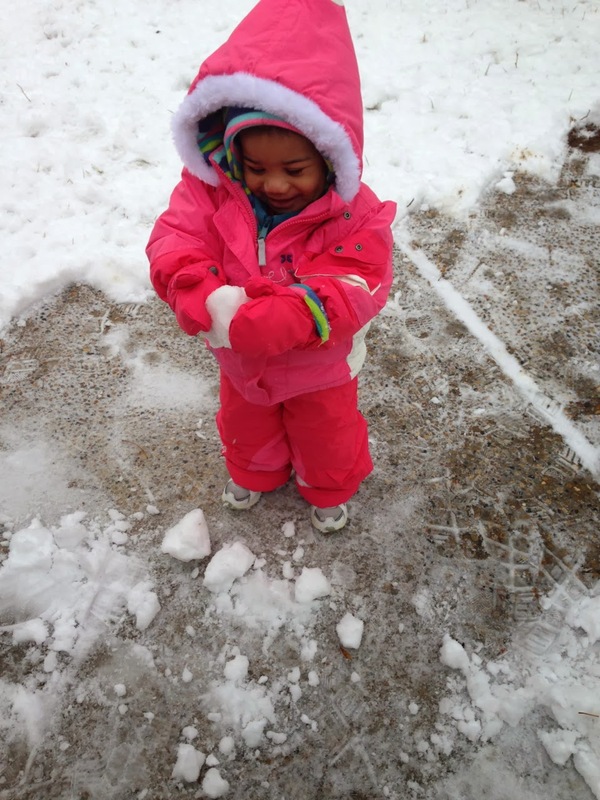 It has been way too cold to take my baby outside to play in the snow this week. BUT, seeing as snow is all around, it made me think back to a couple of weeks ago when it snowed here, and wasn't in the negative temperatures. I have never been a fan of the snow. 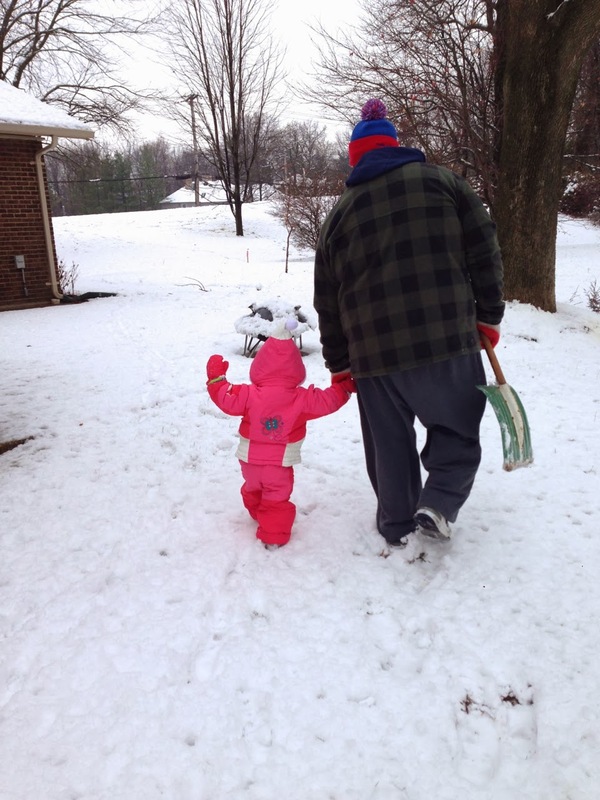 Even when we were little my sister was racing out the door to go sledding and I was asking my mom if I could stay inside and help make the hot chocolate. It's just not my thing. I think it's beautiful for about 30 minutes, and then Im over it…I can't help it. 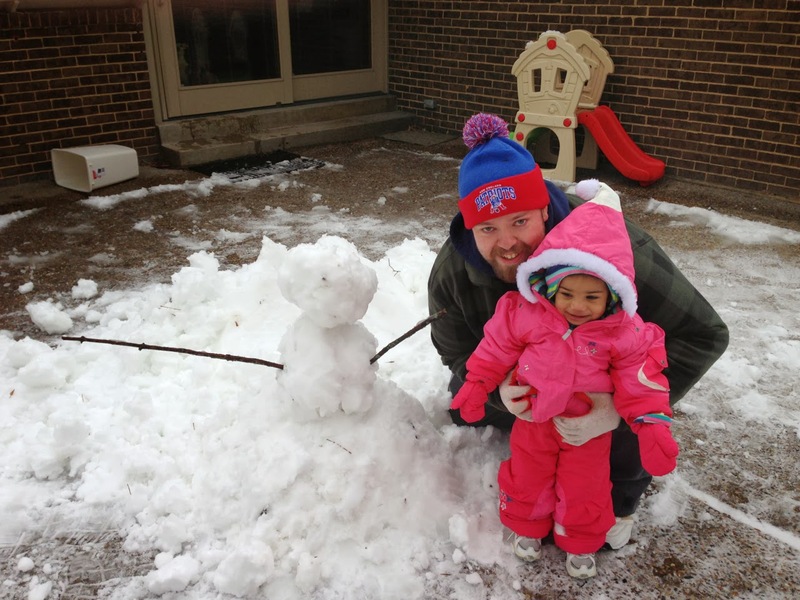 Fortunately, my east-coast husband was more than up for taking Amelia outside for her first snow play experience. 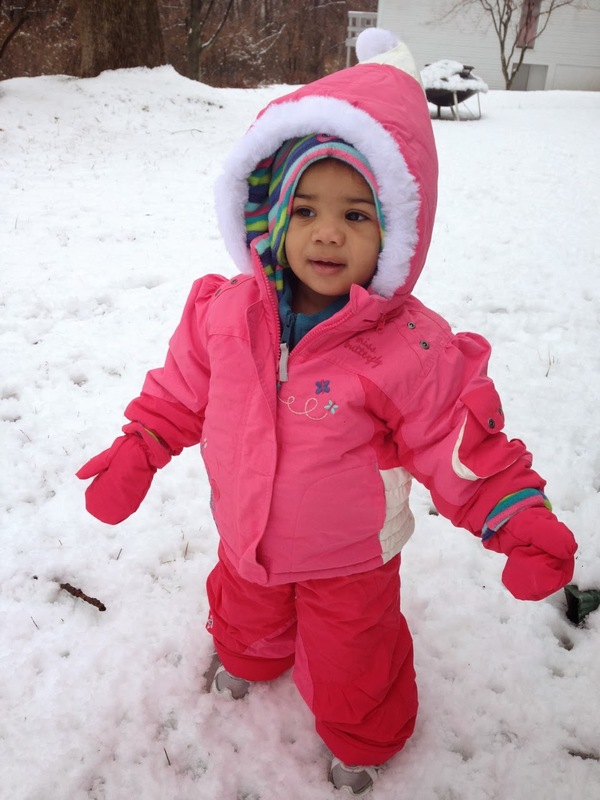 I mean….how cute can one little snow bunny be? They shoveled our porch together. Threw snowballs at each other. 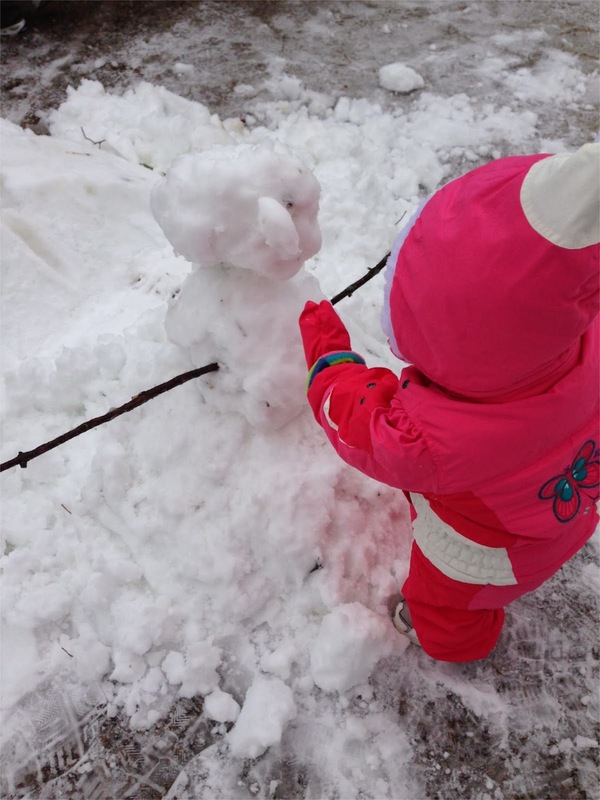 And built her very first snowman together. It was so sweet and I am so happy to have been able to snap some photos of it!! 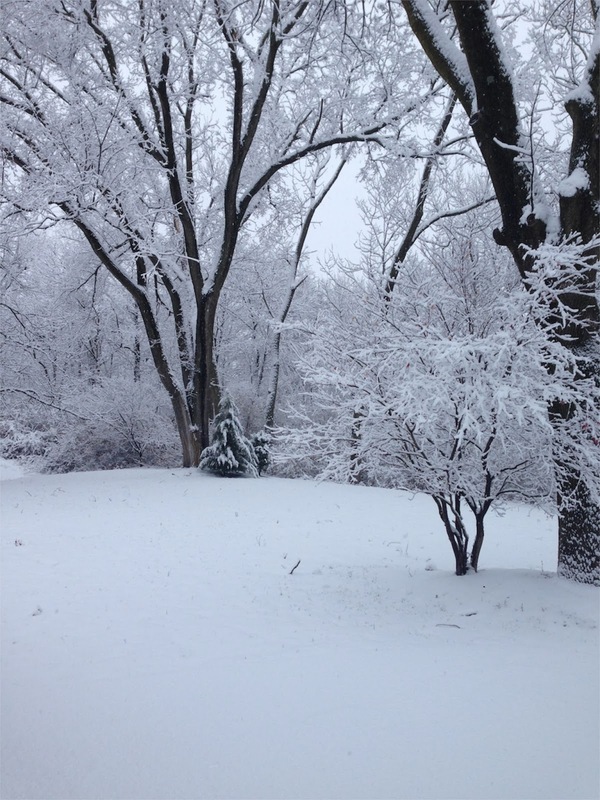 But seriously, enough already with the snow and cold…no bueno.